The American Health Council is proud to recognize David Naylor, MD for “Best in Medicine” for his outstanding contributions to the medical field. Currently an associate professor and clinical neurophysiology lab director at Harbor — University of California, Los Angeles Medical Center in Torrance, Calif., Dr. Naylor provides high-quality care to each patient he treats. While he has held his current role for over 10 years, he has spent the last 24 years in the healthcare industry expanding his skills and knowledge in healthcare education, workforce development, business, leadership, management and neurology. Dr. Naylor decided to pursue a career in the medical field during his undergraduate pursuit. He became fascinated with neurobiology, which later led him to explore the field of neurology. After earning his medical degree from the Icahn School of Medicine at Mount Sinai in 1994, he completed a residency at the UCLA School of Medicine, and a fellowship a Harbor UCLA Medical Center where he has remained since. 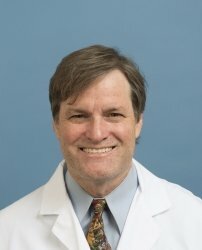 As a clinical neurophysiology lab director, Dr. Naylor conducts research trials to determine neurophysiological techniques on synapse receptors and pharmacology in neutral circuity. He is certified in neurology and clinical neurophysiology by the American Board of Psychiatry and Neurology. Throughout his career, Dr. Naylor has been featured in several publications, including in the Biotechnology Focus, the Ottawa Citizen and Science Daily. He is very proud to have developed models that fit real data bridging disciplines together with research, and speaking on clinical and basic research topics. Among his many achievements, he is most proud of his peer-reviewed publications. Dr. Naylor is affiliated with both the Harbor UCLA Medical Center and the Ronald Reagan UCLA Medical Center, and contributes to the Los Angeles Biomedical Institute. With a successful career at hand, he plans to continue his success in the future by developing ideas and concepts that will foster more technological advancements. Harbor-UCLA Medical Center is jointly administered by the Los Angeles County Health Agency and the David Geffen School of Medicine at UCLA. The hospital contains an array of departments and training programs from major specialties. The hospital sees an average of over 6,000 patients each year for emergency assessment, diagnostic evaluation, stabilization and referrals.